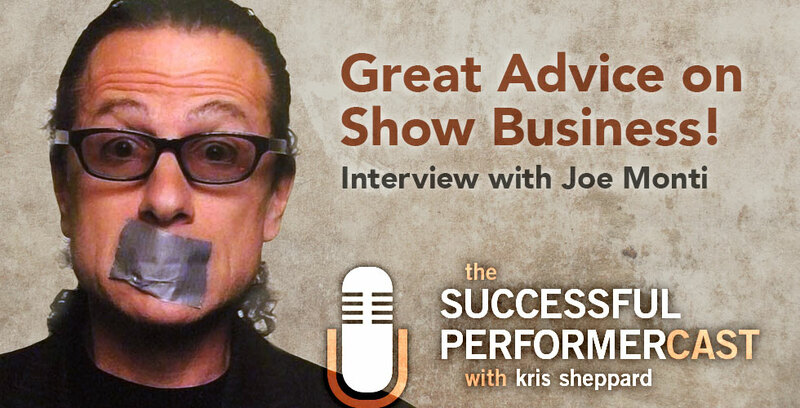 In my final interview here in this chapter of Successful Performercast, I have Joe Monti who gives us some valuable advice when it comes to show business and shares some stories from his career that will have you at the edge of your seat. Joe Monti has done it all. He’s traveled the world with his magic, both performing and lecturing. He’s worked with Viacom, starting with the Cosby Show. He’s consulted for television on a number of shows & projects, including Criss Angel’s Mind Freak for three seasons, a lot of ghost and paranormal shows as well as other secret television projects. He was also the $50,000 winner on Simon Cowell’s successful prime time ABC hit American Inventor, which was seen by 14 million people. He’s a frequent featured performer at the world famous Hollywood Magic Castle, home of the Academy of Magical Arts, and has released two commercial products straight from his act on the market for working magicians. Joe has done so much to elevate the art of magic, it’s impossible to list it all here. 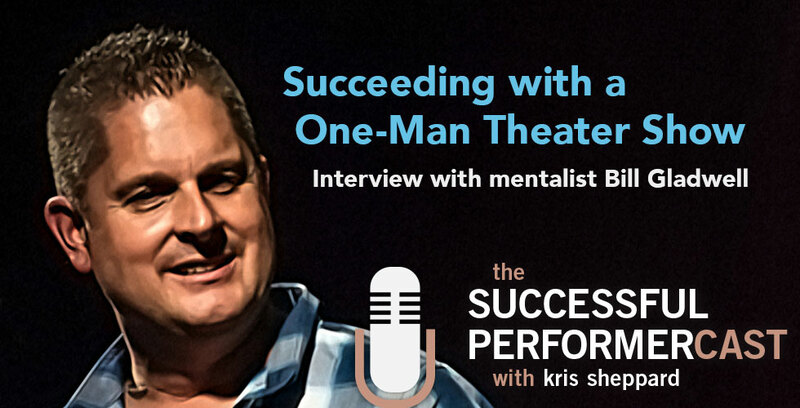 In this interview, Thought Reader Bill Gladwell who talks about the ins and outs of having his own stationary one-man, mentalism show and how he’s been able to make it a success. Bill is a performer who combines his unique skills of hypnosis, NLP, suggestion, psychology, directed awareness, and showmanship to create a fun interactive show that leaves an indelible impression on each of his audiences and has performed for a diverse list of clients from Honda to country music artist Rodney Atkins. He’s also a speaker and trainer teaching people how to develop and master strong social skills helping them win at life. For the last five years, Bill has pretty much stopped traveling in order to produce and perform in his own 75-minute mentalism show, Two Thought Minimum first in Gatlinburg Tenessee and then in Hilton Head, South Carolina. Finally, I wouldn’t be true to myself if I didn’t mention his own podcast, “Hey! Look at Me!” where he interviews other entertainers that he comes in contact with during his adventures. 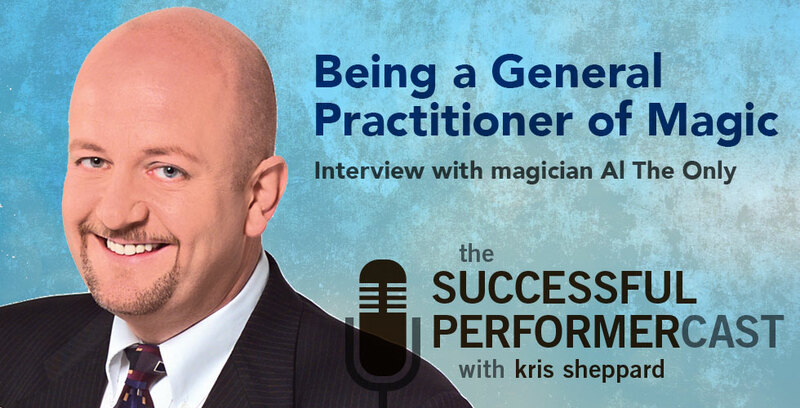 In this interview, Al The Only talks about how he’s found success in being a “general practitioner” of magic. He also talks about how he came up with his brand of Al The Only. For over 35 years Al has traveled the country with his magic, performing for corporate clients doing their trade shows, conventions, business meetings, hospitality suites and holiday parties. This includes companies like Apple, General Motors, Coca Cola, AT&T, and McDonald’s. You may also remember him from “Ask The Only,” which was his column in the Magic Menu where he fielded questions about the business side of magic. Today he’s here to share his thoughts on show business with us. This week, I bring you an interview with Steve Chezaday who shares some advice and insights from his years performing full-time. Topics include dealing with clients, pricing, managing your money, and customizing and maintaining your props. There’s a lot insight to be gained from this chat. 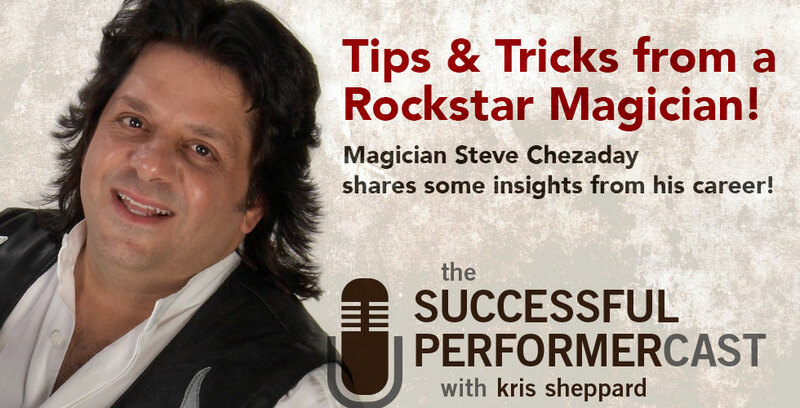 Chezaday is a magician who’s pretty much done it all from close up magic to grand illusion. His energetic show has taken him all over the country. He’s toured with Abbott’s Magic Festival and is also quite handy when it comes to building props and stage illusions. And he can do it all while rockin’ an air guitar! 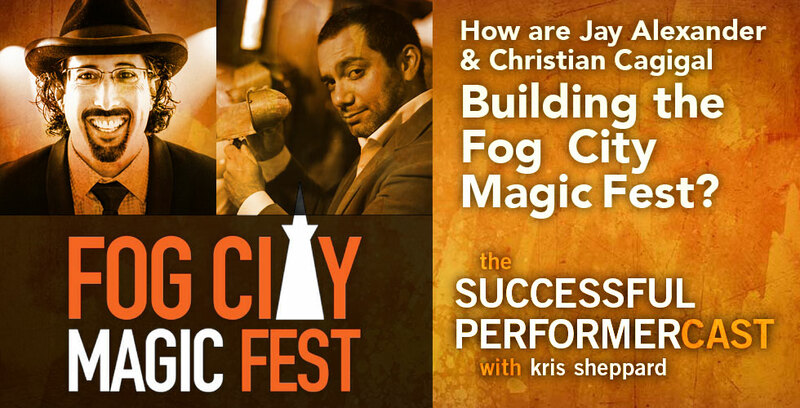 I’ve invited back onto my show Jay Alexander and Christian Cagigal because they have been putting together a four-day festival of magic up in San Francisco called the Fog City Magic Fest and I wanted to get them on to talk to them about how they’re putting it together. They take us behind the scenes and talk about the nuts and bolts of how they’re going about putting together this four-day festival of magic. 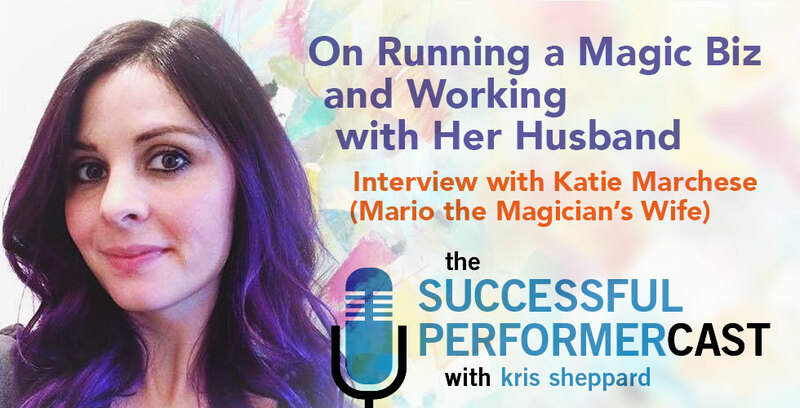 Last week I interviewed Mario the Magician. Katie is his wife and other half. She works with Mario as a team and handles all the business and marketing aspects of their business. If there’s one thing I’ve learned, it’s essential for your spouse to be onboard and supportive of your entrepreneurial efforts, and this week, we’re diving into that very perspective! 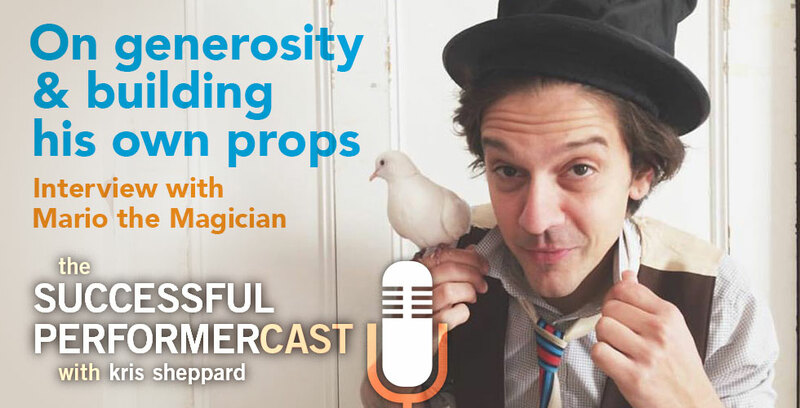 In this episode, Mario the Magician talks about how he makes all of his own props. He also talks about generosity and gratefulness and how those play a part in his business. Mario is a magician who performs primarily on the East Coast entertaining children and their families. The thing that really makes him stand out is that he’s a creator and inventor, making all of his own props for his show including fun, educational robotics. He’s an advocate for the Maker Movement, STEAM/STEM educational initiatives, and can be seen on a recent episode of Sesame Street. He’s Buster Keaton and Charlie Chaplin for the modern age. 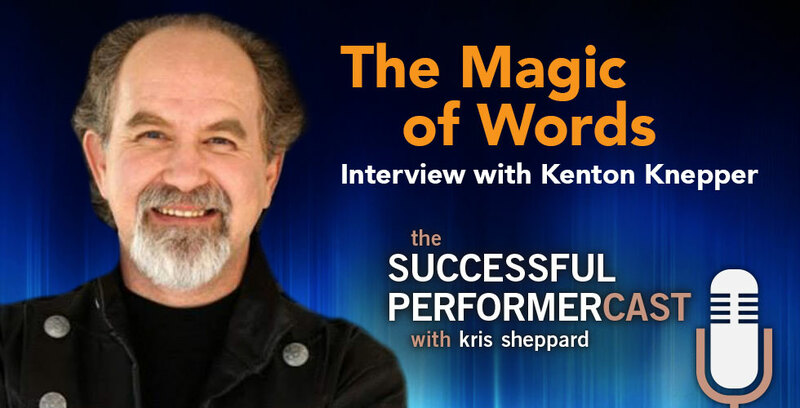 In this interview, Kenton Knepper talks all about nonverbal communication as well as the real power of words when it pertains to performing and doing business. Kenton Knepper is a mentalist who specializes in nonverbal communication, suggestion, and NLP. He’s one of the most prolific creators in the world of magic and mentalism, and has influenced notable names in the industry like Banachek, David Blaine, Derren Brown, Richard Osterlind, and the living legend Johnny Thompson, just to name a few. Through his company Wonder Wizards, he teaches his methods through seemingly countless products, courses, and private coaching sessions. A couple of his more widely known products are his Wonder Words course, and one of my favorites, Kolossal Killer. In my opinion, Kenton is the closest thing you’ll find to a modern day Jedi. I’m currently taking a holiday break from my regularly scheduled episodes, so for the next few weeks, I’m running my six most downloaded episodes. I’ll be back on the first of the year with brand new episodes! In the mean time, enjoy these “Best of” episodes. 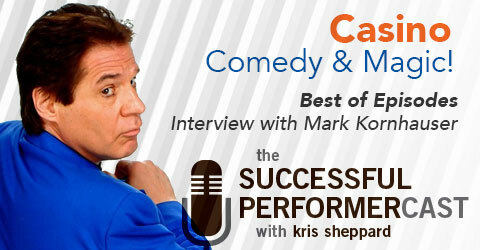 Mark Kornhauser’s interview is my most downloaded episode of all time! In this episode, we talk about his career in magic, what it takes to perform in casino showrooms, his successes, challenges, and how hard work really pays off. Mark Kornhauser is one of the most successful comedy acts in the world boasting 25 years plus, consistently performing in and producing shows in the most prestigious casinos in Vegas, Reno, Lake Tahoe, and Atlantic City. We’re talkin’ Harrahs, Planet Hollywood, Mandalay Bay, Flamingo, Tropicana, and Hilton, just to name a few. He’s opened for more than a few top name entertainers like Tom Jones, Elvis Costello, Frankie Valli, Terry Fator, David Letterman, and Tim Allen. He’s also been featured on the Tonight Show with Jay Leno, Masters of Illusion, NBC, FOX, Comedy Central, and HBO. 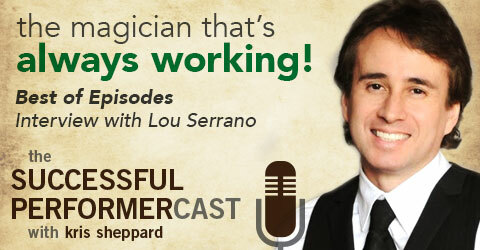 Best of Episodes: Lou Serrano, The Magician That’s Always Working! Lou Serrano’s interview is my second most downloaded episode. In this episode, we talk about Lou’s career, how he’s always working, and we also talk a little about his public speaking ventures and his thoughts on that.